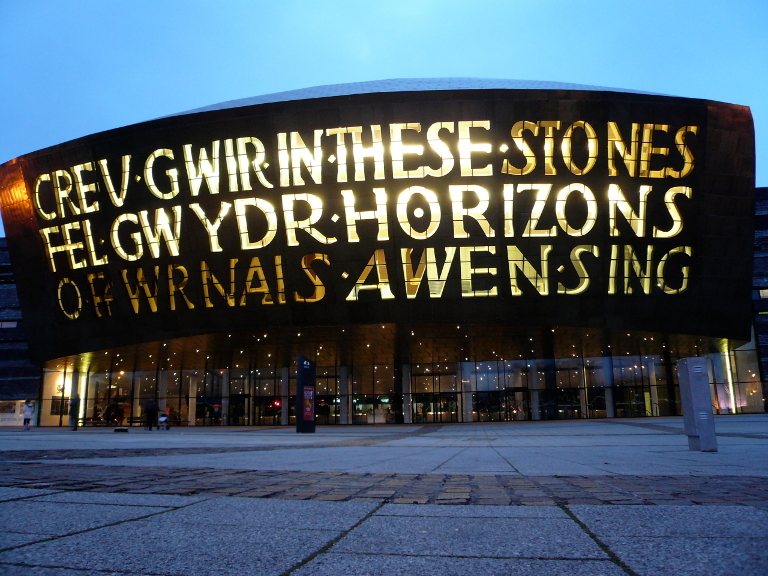 During August 2015 the iconic Wales Millennium Centre celebrated its tenth anniversary with help from Walk the Plank, NativeHQ and other contributors. 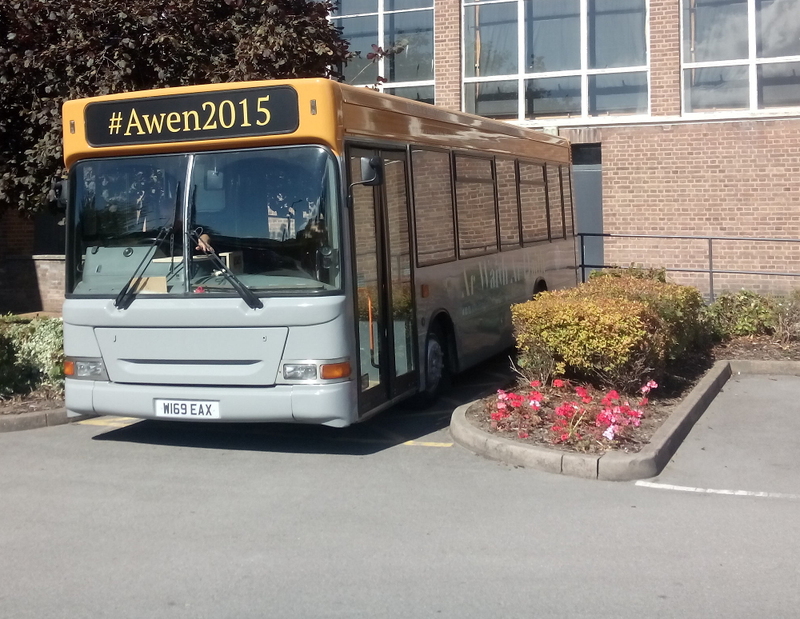 As a prelude to the public show in Cardiff Bay on 12th September we sent the Awen Bus on an epic tour of Wales to encounter musicians, poets, visual artists, actors and other talented performers. Members of the public walking through the foyer of WMC in August were enchanted by these diverse performances – emerging from the smoke and broth of the Cauldron of Inspiration. Occasionally they would have a surprise conversation with a ghostly apparition of somebody elsewhere in Wales! Over one hundred videos were also posted on the web. The videos embedded in this post are just a sample. To enjoy further encounters with performers, artists and others, go to the Ar Waith Ar Daith website and navigate the map or search for the #Awen2015 tag. We’re particularly chuffed at the website map, where you can browse the tour and see the artistic encounters at any location. For example the National Eisteddfod tour location includes performances by Gwyneth Glyn, Benjamin Zephaniah, Plu, Band Pres Llareggub, Guto Dafydd and many others. The bilingual website was created by our friends and collaborators Proper Design. I’ll elaborate on the work in detail, for those who are curious. Almost a year ago NativeHQ was commissioned as digital artist on the Ar Waith Ar Daith project. When a lighting designer, say, is booked for a theatre show the conventions and expectations tend to be known – but not so in digital work. Once Walk the Plank, the outdoor events company working on behalf of WMC, had contracted NativeHQ we admitted we didn’t really know the meaning of the job title ‘digital artist’. Maybe they assumed we were joking. From our experience of theatrical collaborations, we find that it does help to be open-ended about our involvement, while the possibilities and scale of ambition are still being worked out. There is currently no convention for the role of digital media in the creative aspect of such a project, unlike the lighting and other more traditional elements. We simply don’t know if and how digital media will be used creatively. Our remit here is way beyond sales and promotion of the show. Hence the initial period of work was to understand the story and aims of the project – and then scope possible platforms, content ideas, personnel, hardware, software, budgets and schedules. 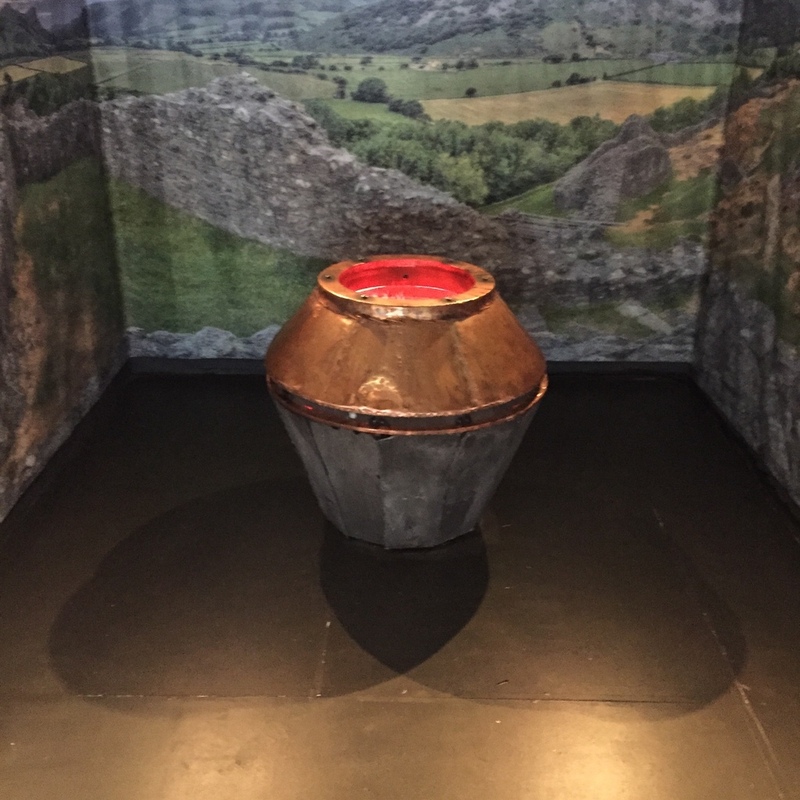 From the start we knew that the finale celebration would be based on the medieval Welsh legend of Ceridwen, her cauldron and the ineffable poetic inspiration that is awen – referenced in Gwyneth Lewis’ poem on the face of WMC. 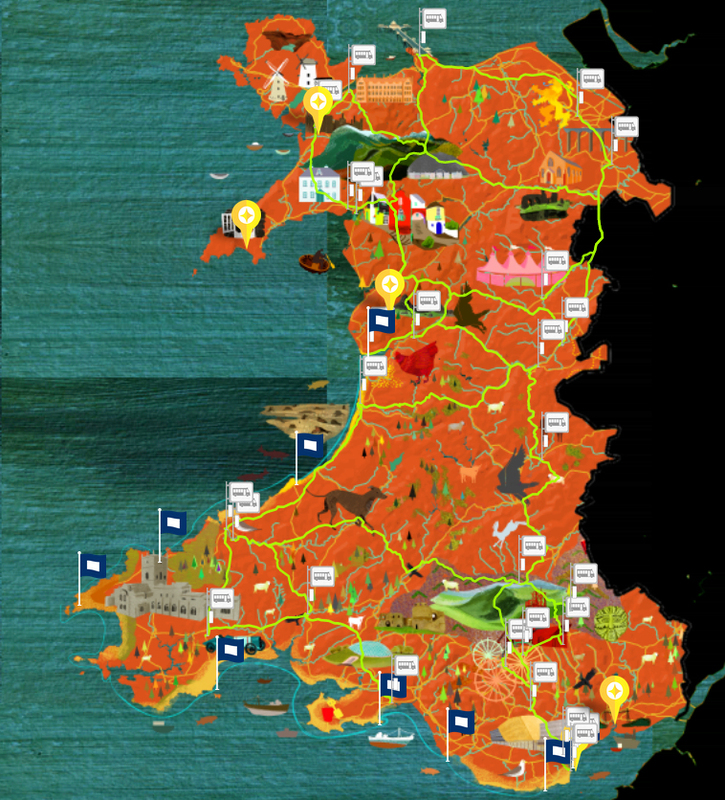 It became clear that digital media platforms and the idea of a bus tour offered opportunities for WMC to have a pan-Wales project, to work with diverse artists wherever they live, and meet the centre’s aspiration to showcase the best of Wales to the world. We intended for our work to have lasting effects, to connect artists – to each other and to fans. Artists would want to accrue fans beyond the tour, with a view to future gigs and performances, selling artworks, releasing music, offering crowdfunding and the like. Once the plan was written, refined and approved, the Awen Bus was fitted with a stage, window blinds, rudimentary furniture and storage, electricity supply, modest kitchen, and some much needed access security. The bus team did a sterling job of sharing the performances through video, Periscope live streams and other social media posts. It became apparent that video editing should be kept to a minimum if we were to reach a maximum number of artists in the time available. One essential requirement was to render a permanent onscreen credit to each artist in each video – along with a link to become a fan where possible, e.g. the artist’s Twitter account or website. That and the ongoing persistence of the video on YouTube would lead to maximum benefit for the artist. Each artist had the option of releasing the resulting video under a Creative Commons Attribution-ShareAlike licence to encourage re-use and adaptations. Alternatively they could take a more traditional licensing option to offer the video for use by the Ar Waith Ar Daith project and reserve other rights. Connectivity was a major challenge, especially in some rural areas, and despite valiant efforts with a BRCK WiFi hotspot and two mobile data plans we struggled to upload videos from all the tour locations. Instead we had to opt for occasional café access and shuttle trips to reliable home broadband. We obtained useful data analytics and tour conversation insights from a paid service with Pulsar Platform – although for a smaller projects the level of detail offered might be overkill. Our aim was for the Cauldron of Inspiration to feel authentic and avoid any associations with computers. According to the writer Arthur C. Clarke, ‘any sufficiently advanced technology is indistinguishable from magic’, which conveys the kind of result we desired. At this point I can reveal that the Cauldron of Inspiration was powered by two computers. Inside the chassis was a Raspberry Pi computer connected to proximity sensors, motion sensors, and activation effects: fog, furnace lights and sounds. The other computer was a Mac Mini creating the apparitions of artists, achieved with a remotely-curated Dropbox playlist of fresh performance videos, a darkened panel and foggers. This Mac Mini was also connected to a webcam for live conversation with the bus team. We deliberately limited the input devices on the cauldron to just the sensors, with no graphical interface or notifications. The live conversations would appear ad hoc without warning, between recent videos. 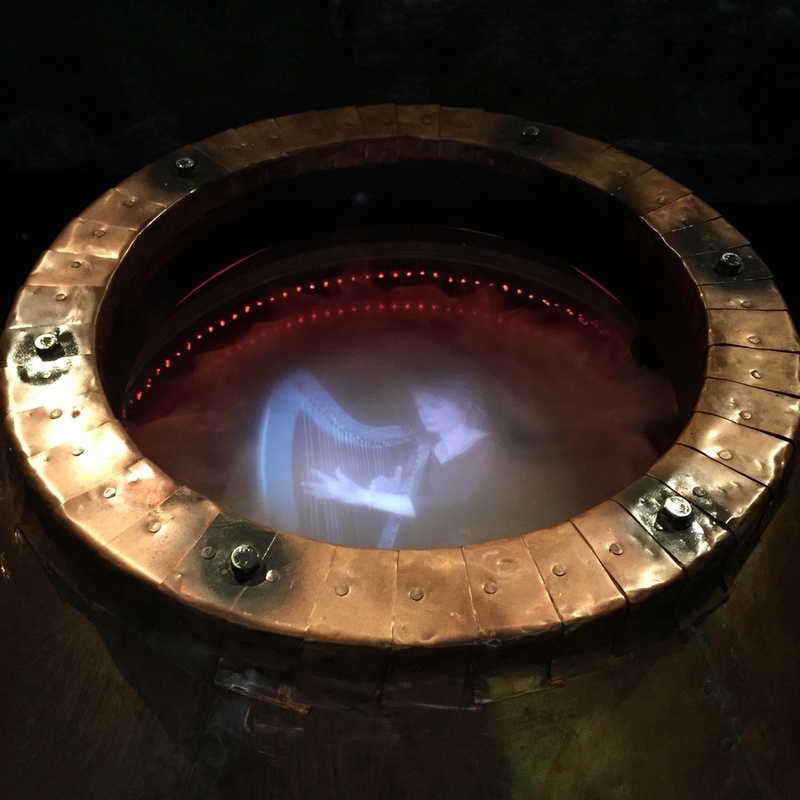 As a brand new design of a one-off piece of hardware we often had to intervene directly in the cauldron to fix problems and ensure maximum levels of awen. We could also access the two computers remotely, from our phones if necessary. Software tools and platforms included VDMX, Dropbox, WebRTC, Python, Node.js and other libraries. Penblwydd hapus WMC! I think we broke new ground, not just for ourselves as a team but in an artistic sense. We are enormously grateful to the following people for their ideas and valuable work. All artists and performers who took part, each of whom is credited in their video. Thanks from NativeHQ. Diolch oddi wrth NativeHQ.